down the Wildwood beach once again! WILDWOOD, NJ - A Wildwood tradition for over five years is returning once again, this year moving to October 4-6th. The Race of Gentlemen, known as TROG, is a weekend filled with heart-pounding thrill, camaraderie, and excitement as vintage hot rods and motorcycles beat the tides and race down the beach. Hosted by the Oilers Car Club, the weekend will include racing Saturday and Sunday, Customs by the Sea car show, Friday’s Night of Troglodytes, and Saturday’s Bonfire Beach Party. 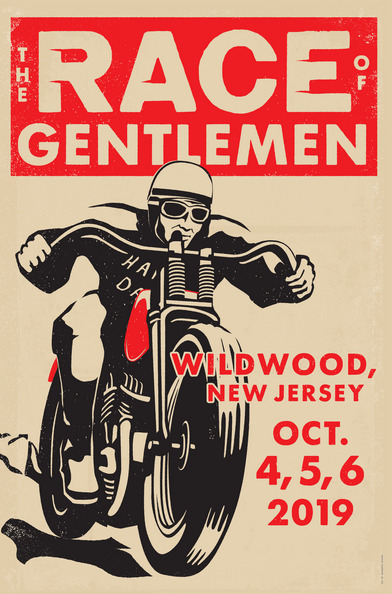 The Race of Gentlemen started in 2012, originally in Asbury Park before moving to Wildwood, but there’s nothing new about speed racing down the beach. In the summer of 1905, a epic race down the beach took place in Cape May, NJ with the likes of Henry Ford, Louis Chevrolet, and speed record holder Walter Christie. Over 100 years later, TROG captivates audiences and racers alike with the same passion and thrill as that first race in 1905. Each year TROG has drawn tens of thousands of guests to Wildwood from all over the world, and this year will be no different. With the event date change, TROG hopes to accentuate Wildwood’s successful off-season and create an even better event. The Race of Gentlemen hopes to team up with local businesses to expand the reach of TROG throughout the entire town. Guests can expect multiple races over two days from purpose built pre and post war vehicles and motorcycles, live music from multiple bands, food provided by local vendors, libations provided by Holly Beach Vol Fire Co, and multiple fun attractions. 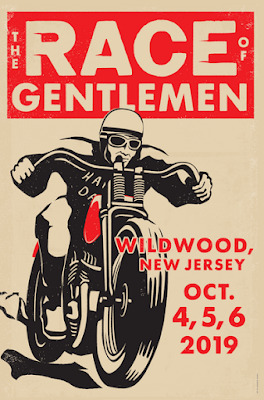 Tickets are $50 for the weekend, and are on sale now through theraceofgentlemen.com. TROG isn’t an invention. It’s been happening well before our founders were born, but now it has a name and a place in the foreground of modern culture. TROG taps into something primal and emotional. An escape from an impressively mundane world, offering mechanical reprieve from its backlit, binary grip. TROG events are real, jarring and built on the strongest, sappiest foundation of all... friendship. A weekend retreat with late nights and early mornings, where you laugh and yell and experience nature in the strangest possible way. A reminder that most admirable aspects of humanity have yet to die off. Founded by Jim Nelson in Southern California over 65 years ago, The Oilers Club, was a small group of thrill-seeking friends that built and raced hot rods and motorcycles using outdated pre-WWII era chassis, bodies, motors and parts. In 2010, the keys to the club were handed to Meldon Van Riper Stultz III, a Jersey Shore native who, with his colorful crew of vintage car and motorcycle revivalists, now stage these rolling exhibitions at historically significant locations across the country.